Net Weight 36.6 lbs./ 16.6 kg. Shipping Weight 41.01 lbs./ 18.6 kg. Compliance Equiv. Vol. (Vas) 164 Liters/5.8cu. 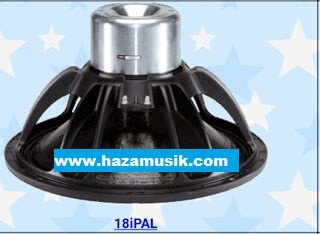 ft.
0 Response to "Spesifikasi speaker b&c 18iPal - 18" EXTREME POWER NEODYMIUM SUBWOOFER "